Le soir brumeux ternit les astres de l'azur. Les longs jours sont passes ; les mois charmants finissent. Helas ! voici deja les arbres qui jaunissent ! Comme le temps s'en va d'un pas precipite ! Ont a peine eu le temps de voir les feuilles vertes. Et l'ete qui s'enfuit est un ami qui part. Adieu, ciel bleu ! beau ciel qu'un souffle tiede effleure ! Adieu, rayonnements ! aubes ! chansons ! rosees ! Puis tout bas on ajoute : o jours benis et doux ! Helas ! vous reviendrez ! me retrouverez-vous ? 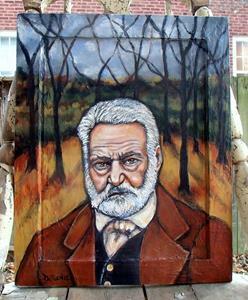 Well, apparently we can conclude from his writing that Mr. Hugo did not much care for the season of Autumn....! This poem is all about how dreary the Fall season is, what with it's cold temps, biting wind, dull grey skies, and shorter days. In it, he expresses just how much he already misses the charming months, and how summer feels like a friend who leaves him. Because, Alas! The trees here have already turned yellow....! Farewell, all the lovely things of Summer....! To Mr. Hugo, the very thought of "Naked Trees" was surely a cold and barren one (a little like I felt inside at the thought of having to recite his poem in front of my peers....!). Sadly, I managed to lose most of my French over these ensuing decades, but I can still remember this poem. And, looking back, I thank Madame Teacher for forcing me to get a little out of my comfort zone in her classroom all those years ago, because as agonizing as it was for me at the time, in retrospect I can appreciate how positive and character-building it was for me to have to go through all that. 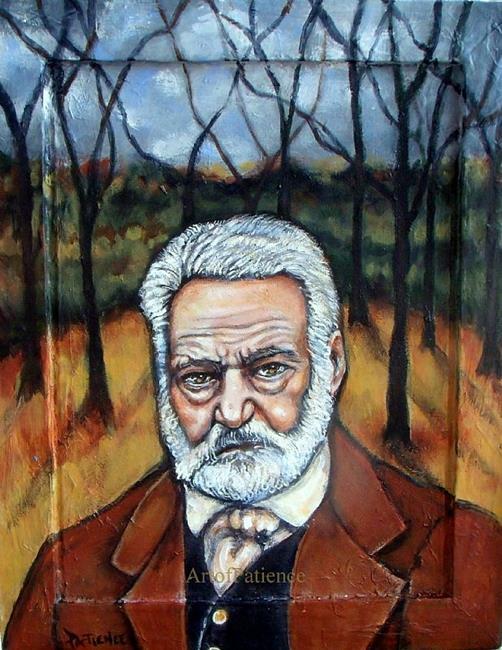 I also thank Mr. Victor Hugo for all his wonderful writings that we still enjoy to this day -- not only his poetry, but also his much beloved masterpiece tales, like the "The Hunchback of Natre Dame", and "Les Miserables". 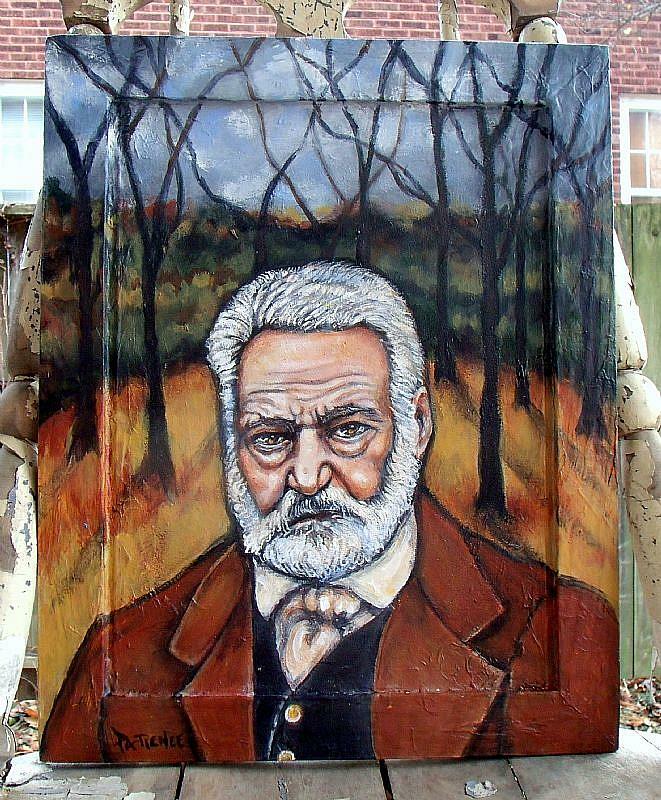 This painting/entry, "L'Automne: Victor Hugo" is my own little personal tribute... to it all.